SSL certificate for federation gateway, e.g. fs.domain.com, it should be installed on all ADFS servers and Web Proxies. Access to all servers with installation account, which must be Domain Admin. Service account in Office 365 which is Global Administrator. 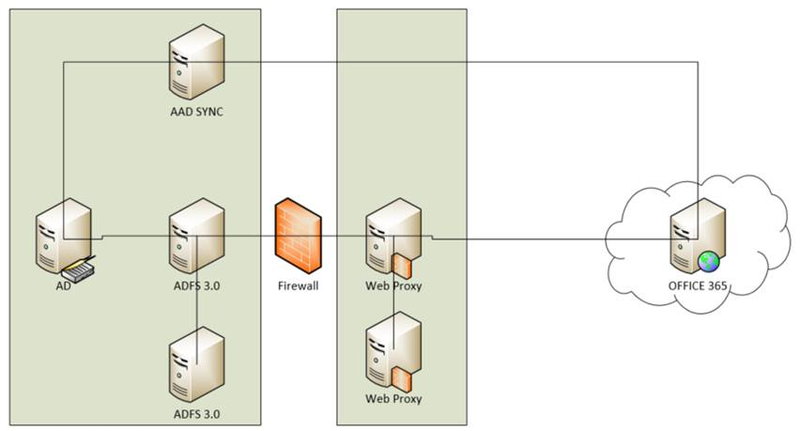 Internal DNS for fs.domain.com pointing to ADFS-NLB. External DNS for fs.domain.com pointing to Web Proxy-NLB. Office 365 tenant with licenses for your users. Please document setup well. Happy clouding! This entry was posted in Office 365 and tagged Office 365 by admin. Bookmark the permalink.